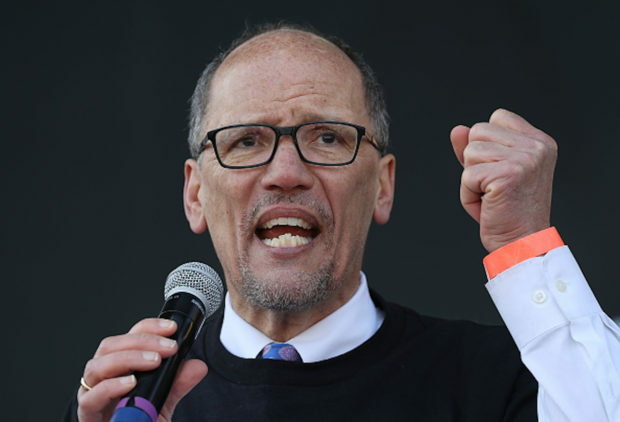 Democratic National Committee (DNC) chairman Tom Perez’s deputy communications director cut him off from responding to an interview question regarding a tweet from New York Democratic Sen. Chuck Schumer that called out violence by both parties. When the reporter explained to him what the tweet said, Perez’s deputy communications director, Sabrina Singh, cut off Perez before he could answer the question, saying she didn’t think it was a good use of his time. Democrats believe they will regain control of the House after Tuesday night’s midterm elections, as Republicans hope to pick up a few seats in the Senate.